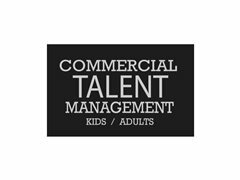 Commercial Talent Management is currently searching for Experienced Adult and Child Actors of all nationalities to Join our Elite Division for upcoming work in Film TVC and Print Work. Must have good actors headshots. Must have or willing to get a showreel scene. Must be available to attend auditions during the week mon- fri during school hours. notice normally a day before. We can not accept any talent that is represented by another agency. We do not charge upfront fees only commission once you land a job.